In an age where intellect is on the increase so is anxiety amongst many, a minority of people can’t resist getting up to date on the latest conspiracy theories, no matter how far-fetched they may seem. At the same time, many people quickly denounce any conspiracy theory as untrue and sometimes as unpatriotic or just plain ridiculous. But what about the person itself, for some reason society has given conspiracy theorists a negative image as someone deluded in their own world, with some paranoia issues so makes up stories as they go along to fit into their perception of this world. Hence the reason why many people would avoid these conspiracy theorists in the first place, not talk about it and even not friend them in your circle. So what are conspiracy theories, it’s basically a term that originally was a neutral descriptor for any claim of civil, criminal or political conspiracy. However, it has come almost exclusively to refer to any fringe theory which explains a historical or current event as the result of a secret plot by conspirators of almost superhuman power and cunning. Something as a myth lets say. Not all people in this world are honest, hard-working and forthcoming about their intentions. Certainly we can all agree on this. So how did the term “conspiracy theory” get grouped in with fiction, fantasy and folklore? In fact conspiracy theory can be argued as an alternative to the official or mainstream story of an event. Somewhere where we can actually find truth behind these nagging thoughts that something somewhere is not right. So does this make them deluded people who have lunacy and paranoia issues, is this an illness. No it doesn’t, in a matter of fact it might be that the wider public is deluded in not knowing. Kennedy’s assassination gave a way of looking at the world in a different way and the conspiracy theory has thrived ever since. It brought these people to the surface. Fifty years later, there has been no let-up in the public fascination with the crime, to the extent many more of us now believe there was a cover-up. More recently distrust has been fomented by Edward Snowden’s revelations that the NSA and GCHQ are snooping on our personal communications. But what distinguishes a conspiracy theorist from a mere sceptic is the degree to which their beliefs are impervious to evidence which undermines them. Many of us presume these theorists have a certain agenda, an agenda to fill people against the government, to brainwash people’s minds. They undermine every unusual event that takes place and unexplained deaths to an extent that everything has its reasons and the reason behind them are working against the common man in this day and age. Many people think conspiracy theorists tend to be extremely aggressive and dogmatic with their beliefs, uneducated who have nothing better to do than troll for information and put two and two together. Philosophical thoughts and quotes, like conspiracy theories are used to fool the masses and blind people to what is really going on in reality but there is a conspiracy against conspiracy theories too. There is more much negativity going on towards these people, we are fed with the image that these conspiracy theorists are so badly educated so they can’t think for themselves. They are deliberately filled with fear through false flag operations, they are deluded with the psychotic disease of nationalism and mostly conspiracy theories lack the evidence to support the claims that they make. Lets try looking at it in another angle, is there any truth is there theories. In a matter of fact there is a lot of truth. I have to admit some of them sound laughable while others sound slightly reasonable. However I too am a keen follower of conspiracy theories, but I judge for myself what it reasonable truth and what is not. There are those, for example, who believe the Sandy Hook massacre, which claimed the life of 20 children and six adults in December 2012, was a false flag operation (an atrocity carried out by one faction with the sole purpose of tricking people into believing another faction was responsible) – perpetrated in order to justify the introduction of gun control measures. A prime example of someone who uncovers certain news to a point is Truth media revolution on YoutTube. You’ll be able to see where the facts come from and why some theorists claim there is always a motive and these people have proof and what drives these true conspiracy theorists is the conviction that they are being lied to. Yet there proof is always non-justified and disregarded by the mainstream of people. 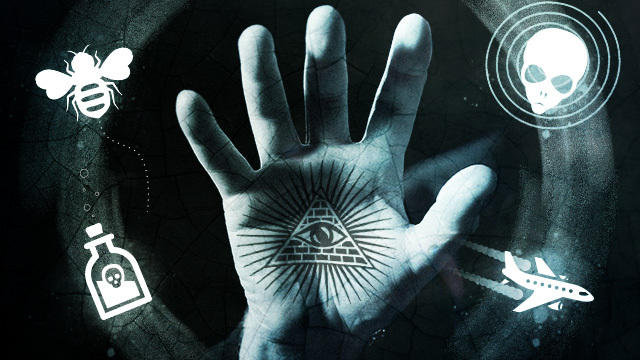 Conspiracy theories are flourishing in the age of the internet. Not only does the worldwide web make it easier for us to become amateur sleuths, it allows us to access a group of like-minded people who share our own world view. But there are other explanations, too, for the current upsurge in paranoia. And why wouldn’t there be, if the government and other organisations had nothing to hide why would they continuously be deleting their social media accounts, deleting their you tubes videos, banning them from interacting to the world. What is the government so afraid of, why are they so afraid and determined to keep these conspiracy theorists at bay behind a line. Are they afraid that to an extent their hidden agenda’s will be exposed, or maybe the public will no longer be blinded and play puppets to them. It’s easy to create negative images of these theorist, but we need to understand what they are trying to show the public and why they are doing it. Remember humans have a tendency to try to explain random events through seeing patterns that’s how our brains our wired. Therefore, they have to test their theories of connection and causality against the cold, hard facts whether it’s about Election fraud, 9/11, Fukushima, Bankers’ Debt Money, Privatization, the Moon doesn’t exist or the fact that Obama is a reptilian. It doesn’t matter what the theory is, it’s the perception the majority of people have on it. However, the truth is that a large number of very prominent conspiracy theories have turned out to actually be true. So maybe next time you run into a tin foil hat wearing lunatic, you might want to actually listen to what they have to say. In fact, one recent study found that “conspiracy theorists” are actually more sane than the general population, that should about say it all. There are many other theories out there and believe it or not we all have them in one way or another, however many of us would rather not discuss partly out of a sense of embarrassment at the sight of sensible people believing stupid things and so avoid the taboo subject all together to just go about our daily lives and accept whatever the mainstream media feeds us as the only truth there is, maybe it is the wider public that is blinded with the hidden truth. These conspiracy theorists, call them nut cases if you wish are people who sacrifice their own time and go to great lengths to gather information and bring some sort of truth in this corrupt society. Remember these people have been threatened for there lives in many ways and some even silenced only because they want to show the truth. Yet all we end up doing is closing the doors and disregarding them as crazy talk. You cannot change people’s beliefs no matter how irrational or harmful they may seem. I think that for a lot of people, it’s hard to believe that our government is the enemy full of evil doers and nefarious plots for the sole purpose of financial gain, than to countenance a largely nameless, faceless enemy who willingly martyr themselves to kill others, with no other reason than quasi-religious fervour and multi-directional rage. The latter, on the face of it, is bewildering. For many it’s either your against them or your with them. You can’t argue, you might think will if smart people believe crazy things it can make you wonder about the nature of truth and intelligence. Truth is the real world is messy and chaotic and works without rhyme or reason. Sure, there are those who somehow feel better to think that there are men behind the curtain orchestrating false reality or is it merely a hypothesis. I read your blog and you’re right about others who find conspiracy theories to be foolish. Even if these conspiracy theories seem dumb and mundane, it should not hurt to even listen for a few minutes to hear what could be the actual truth. You mentioned Sandy Hook in your blog. I agree with you. Government hides information from the public, deleting YouTube channels and all sort of evidence. They want power is all. I questioned after that day, why was there only one picture of kids forming a line, and only one girl was bawling her eyes out while the others seemed calm. Shouldn’t the photographer have taken more pictures that day showing kids running out of the school in fear? Because apparently, there are many pictures of 9/11 from different witnesses, or point of views. So shooting pictures of Sandy Hook should not have been offending, if that was an excuse. The majority of people would rather turn a blind eye than to listen to alternative facts, many are afraid of being labelled and stigmatized if they raise certain questions, therefore we accept whatever we are fed. About the sandy hook event, a lot of useful insight information I gathered from Truth media revolution on Youtube, although many of his videos were also deleted due to this. There are many conspiracy theorists out there, but they would rather not be labelled as that but rather see themselves as simply exposing lies. What makes it difficult is to differentiate the real people who are doing this for a good cause than the ones who create rifts and manipulate events altogether. The ancient philosophers had it right: question everything, accept nothing! It is questioning when videos with reliable information on a certain event get deleted. I read a ton on UFOs myself. We live in such an insane age where people believe so strongly in these conspiracies that they threaten targets of these conspiracies.